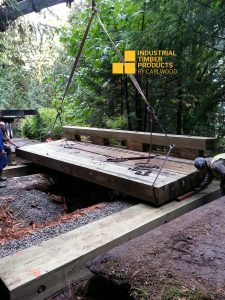 Industrial Timber Products supplied a bridge to a customer in the Harrison area with a fully assembled bridge, supplied in 2 pieces 7′ wide and 20′ long. We also supplied 2 “mat sills” ready for installation. 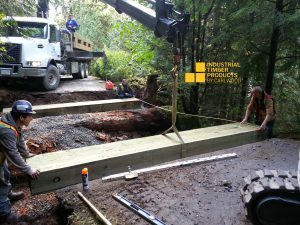 The bridge spanned a small creek on a rural property, enabling access to a house and farm. Heavy trucks like firetrucks, service vehicles, dump trucks and septic trucks will use the road so the bridge was rated BCFS L100. 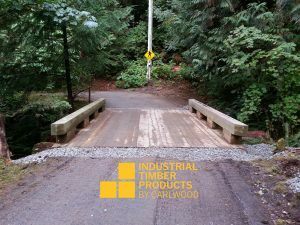 This customer hired a local contractor who was able to complete the decommission of the old bridge, add some rip rap to the creeks banks, place the sills, place the 2 bridge sections, secure the through-hardware and attach to the sill plates. 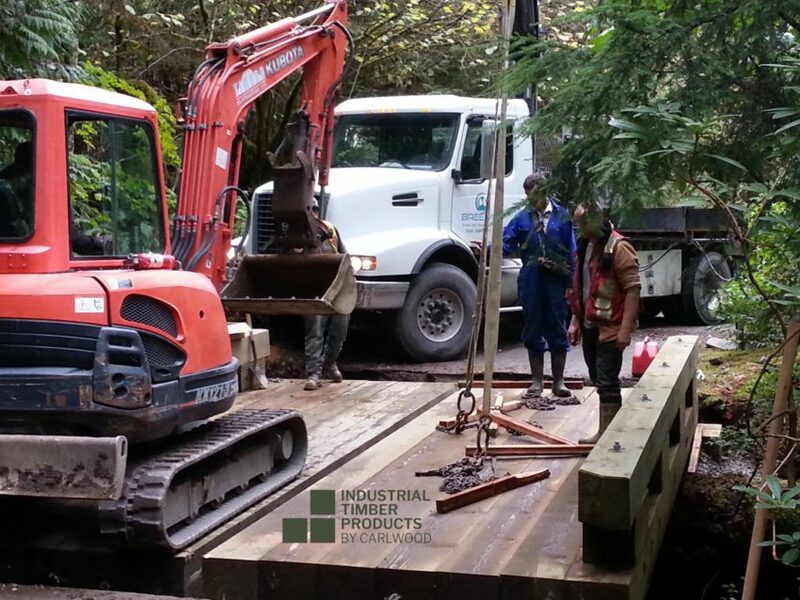 With a complete site clean-up the job was completed in 9 hours with 2 workers plus the crane truck operator.